In World Campus – Japan is not all about host families, cultures and Japan, is also about how fun you can have with six hours at an amusement park. Believe me, it doesn’t matter where you come from, we are all the same when it comes to riding a roller coaster, everyone goes through the same process. We had six hours to explore and enjoy Greenland, the park with most rides in Japan. First we thought six hours was too long, at the end we didn’t have enough time for all the rides. Great times!!! We went from water rides, to shooting balls to win prices. From kids rides to scary rides. 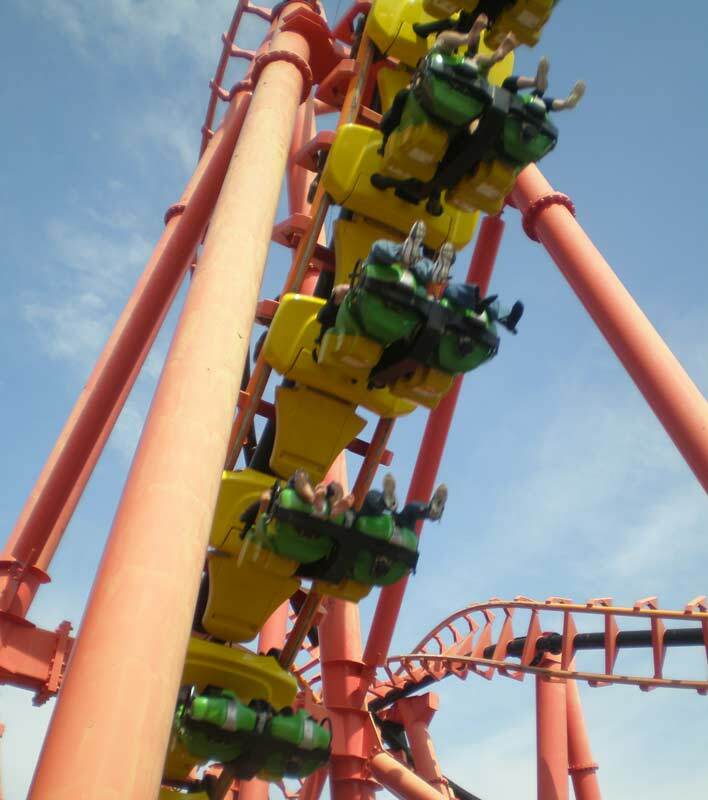 From slow and simple rides to upside down rides, like you see in the picture above. At the end, we were tired, happy and sun burned but had a great bonding time with the crew and got to know each other on a much personal level, for sure. Now, the 5 steps to go on a ride… from the participants of World Campus – Japan! 1. Watch what you are about to get yourself into.